NCB hiked dividend to 90 cents from 70 cents in 2018. NCB Financial hikes dividend 29 percent, to $2.2 billion or 90 cents per share, as profit from ongoing operations jumped 40 percent in the first quarter to December last year to $5.7 million before taxation. Profit after taxation and one-time gains, resulted in net profit of $7.4 billion for the first quarter of the 2019 financial year, slightly lower than the prior year’s results that included a gain (negative goodwill) of $4.4 billion relating to the acquisition of Clarien Group. Profit for the latest quarter, includes a gain of $3.3 billion from the disposal of 326,277,325 JMMB Group shares at $28.25 per share. The strong improved results climbed on the back of 24 percent in net income, to $20.7 billion from $16.7 billion in 2017, offset by a 21 percent increase in expenses. Included in expenses is loan loss provision of $1, up from just $146 million in 2017 and seems tied to the need to adjust loan provisioning in line with new Accounting Standards. Depreciation and amortization cost almost doubled to $1.3 billion, from $667 million in 2017. Other operating expenses jumped 29 percent to $6 billion from $4.7 billion in the prior year. The big improvement in revenues flowed from increases in net interest income from $7.55 billion to $9.85 billion, an increase of 30 percent, while exchange trading delivered a third more, at $4.2 billion. Retail and Small Business Banking segment profit grew a strong 36 percent to $1.34 billion, but Payment Services fell just 2 percent to $1.2 billion. Corporate Banking jumped sharply by 76 percent to $1.25 billion, Treasury and Correspondent Banking was up by just 14 percent to $1.65 billion. Wealth, Asset Management and Investment Banking, grew attractively by 39 percent to $1.2 billion, Life Insurance & Pension Fund Management rose 29 percent to $1.3 billion while General Insurance moved from a loss of $107 million to a profit of $227 million. 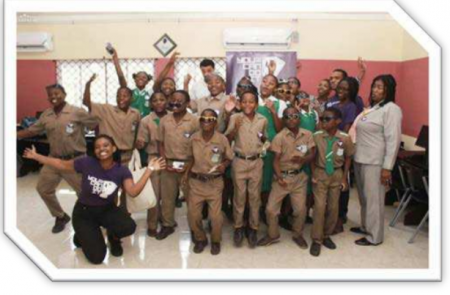 NCB giving back to the community. The Group’s loans and advances, net of provision for credit losses, rose 16 percent to $373.5 billion. 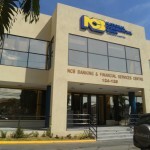 NCB stated that “the growth was driven by our Jamaican that increased by 22 percent or $50.4 billion. Non-performing loans totalled $18.5 billion as at December 2018 (December 2017: $15 billion) and represented 4.9 percent of the gross loans compared to 4.6 percent as at December 2017.” Customer deposits grew just 7 percent to $461 billion. The varied growth rate between loans and deposit is a strong positive for profit as the revenues climb faster than cost. 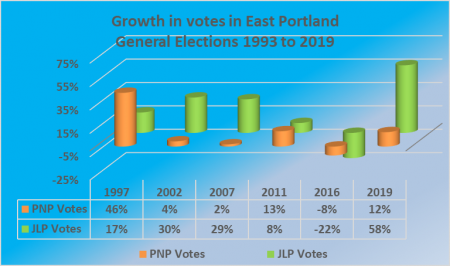 The group re-launched a revised take-over to acquire up to 32.01 percent of the outstanding shares of Guardian Holdings which, when combined with NCB’s existing 29.99 percent holding will bring the total to 62 percent. The profit of the group will get a further boost from this acquisition. IC Insider.com has updated the earnings per share for 2019 to $14 from continuing operations and with the stock price at $145, the PE is just over 10 times earning making the stock BUY RATED with a 2019 target price of $225. Palace Amusement shareholders approved a dividend of $2 per shares at the annual general meeting held in December last year with the record date of January 7 and payment to be made on January 18. 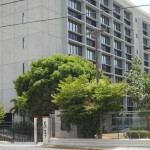 IC insider.com was informed that the Jamaica Stock Exchange stopped the payment. In discussion with the JSE they indicated that the company did not comply with the rules of the exchange to inform them of the dividend. Accordingly, the change in dividend payment was to allow for the public to have notice of the ex-dividend date. That of course is only partially true, while the company did not advise the exchange when the directors were to meet to approve the dividend and what was the outcome of the meeting. The exchange had adequate notice of the payment from October 31. The exchange JSE staff did nothing about the information that they got and approved for posting on their website. The company’s directors’ report clearly states that the dividend had an xd dividend date of January 4 with the payment to be made on January 18. The annual report was posted on the JSE website from October. The directors, report along with the audited report were put to the meeting for acceptance which was done. 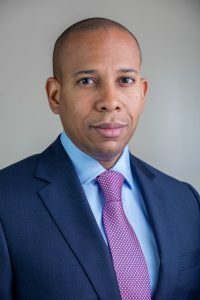 Andre Tulloch, head of the JSE regulatory arm. Shareholders after approving the directors’ report, approved the resolution for the payment of the dividend, effectively agreeing to ex dividend and payment dates as set out in the directors report. In the wisdom of the Jamaica Stock Exchange, they ignored the supremacy of the AGM and forced the company to submit information to change all the dates relating to the dividend. They failed to understand that the directors have no powers to change what the shareholders approved, and if a change is to be made, then the directors would need to call a general meeting to get shareholders to make the change. The correct remedy would have been some reprimand not a call for a non-legal action. The requirements of the JSE is that any meeting at which a dividend is to be consider should be communicated to the JSE no later than 7 days before the date of the meeting and within 48 days of the meeting the decision taken. This was not done by Palace, but the JSE who had notice of the declaration from the end of October, did nothing about it for more than two months. The added problem is that shares were traded in January after the xd date of January 4. The seller would have expected to collect the dividend that was approved. It also means that cheques already drawn, may have to be redone, to record the new record date. The JSE has clearly, made a huge error in this matter and should immediately correct it, to prevent a messy situation from getting worse. You cannot correct a wrong by another wrong. David Noel new Scotia Group’s CEO. Scotia Group delivered below par performance in that final quarter of the 2018 fiscal year, with profit falling to just $1.6 billion from $3.36 billion in 2017. 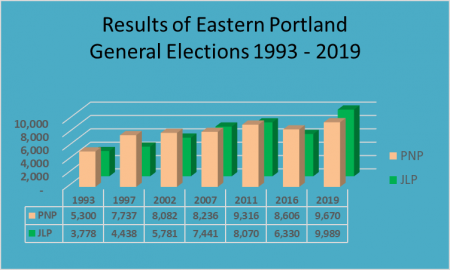 The quarterly results, however, is not an indication for what can be expected for the 2019 fiscal year as one time fall in revenues and in some cases, expenses are unlikely to be reflected for the full year to come. In keeping with expected pick up in profit the banking group hiked their dividend from the usual 48 cents per share to 51 cents in their latest announcement. Based on Scotia’s long held policy, when dividends are raised it is usually an indication that future dividend payments will continue at the elevated level for the ensuing period. Investors in the stock can therefore look forward to at least $2.04 cents for all of 2019. That will be a return on the latest stock price of $54.01 of 3.8 percent. Dividends paid in 2018 amounted to $1.92 per share. The total amount of dividends to be paid in January will be $1.59 billion which is alomost all the profit reported for teh quarter. The dividend will be paid on January 18, 2019, with the ex-dividend date set for December 24. 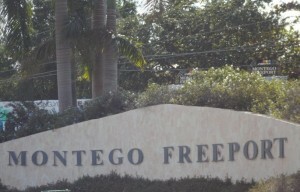 The former Jamaica Stock Exchange listing, Montego Freeport made $44 million in profit for the twelve months to March this year which is up strongly from nearly $11 million reported for 2017.
operating revenue was a mere $1.7 million while other income amounted to $101 million versus $36 million in 2017. The financial data extract sent to shareholders does not break out the details of other income, but 2017, the category comprised interest income from investments and receivables for land sale and foreign exchange gains. The statement of financial position shows shareholders equity at $710 million or $1.26 per share. Shareholders at the general meeting slated for November 30 will vote on a resolution to pay a capital distribution of 40 cents per share in December. 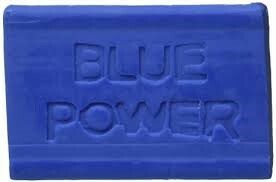 Blue Power 10 for 1 stock split coming. Shareholders of Junior Market listed Blue Power, are set to see much more liquidity in the shares as the board is recommending a 10 to 1 stock split to be voted on at the upcoming general meeting in August. Approval of shareholders will be sought, for the board’s recommendation to be put to the Annual General Meeting to be held on August 14, to increase the authorised share capital of the company from 90 million units to 900 million shares of no par value and to split each existing share of the company into 10 shares of no par value, thus increasing the issued share capital to 564,990,000 shares. Blue Power Group will pay a dividend of 19 cents per share on July 30, to shareholders on record at July 16. The stock will start trading ex-dividend on July 13. 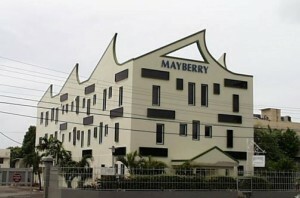 Mayberry to spin off 10 % of its subsidiary to shareholders. 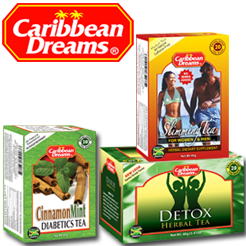 Dogged by a share price that is bogged down mostly below $5, with a net asset value of $6.54, Mayberry’s directors are recommending distributing a portion of Mayberry West Indies Limited (MWIL), a wholly-owned subsidiary in the form of dividend to Mayberry Investments‘ shareholders. MWIL is to list on the Jamaica Stock Exchange before the end of the first quarter of 2018 as a result of the move. Arising from a Board meeting of the Company, on December 29, 2017, a dividend in specie equal to 10% of the Net Book value of its MWIL was declared. This dividend will be effected by the Company transferring, pro rata among its stockholders, shares in MWIL held by the Company and constituting 10% of MWIL’s issued share capital. The record date will be February 16, and shall be effected by transfer of the relevant MWIL shares on February 28 to stockholders. The Ex-dividend date will be February 15. Based on MWIL’s book value as at November 30, 2017, the dividend in specie is equivalent to approximately $688 million, the Mayberry release said. 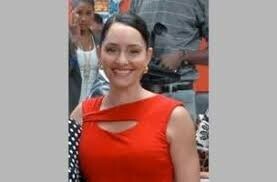 Mayberry West Indies Limited name is to be changed to “Mayberry Jamaican Equities Limited”. 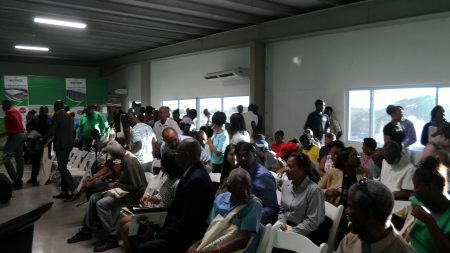 The Jamaica Stock Exchange requires a minimum of 20 percent of a listed company’s shares to be issued to the public, accordingly, it appears that the plans will be to raise around $700-800 million from the general market prior to listing. 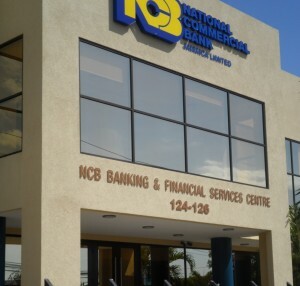 NCB Financial Group has announced the dates when their board will consider dividend payments for 2018, in a break from the historical practice of making an announcement a few days before the board meets to consider the quarterly payment. The practice is in keeping with what obtains in Trinidad with several listed companies pre-announcing dates for dividends, publication of quarterly reports and annual general meetings. The move enhances transparency in the capital market where all concerned are aware of important announcements. NCBFG advises that the board of directors intends to consider the payment of dividends to stockholders on the following dates this year, January 25, April 26, July 26 and November 8. 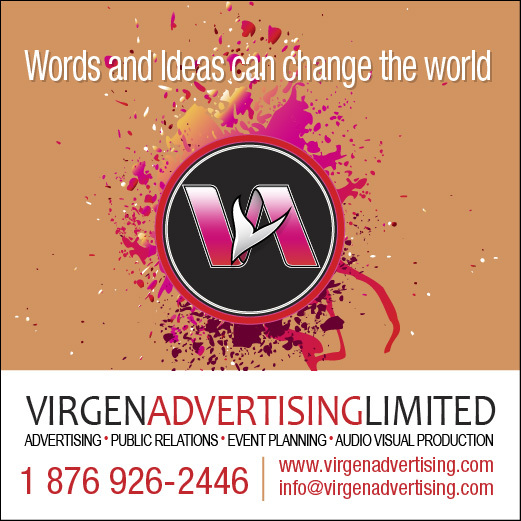 The dates usually coincide with the release of the quarterly reports. Supreme Ventures has pushed up the dividend payment fresh after the major changes in ownership and recent board changes to $844 million. The new board declared an interim dividend of 14 cents per share payable on December 4, 2017 to shareholders on record as at November 20, 2017 and a special dividend of 18 cents per share to be paid on the same day as the interim dividend. The ex-dividend date will be November 16. On august 9, a dividend of 16 cents was paid and 14 cents per stock unit was paid on May 31. 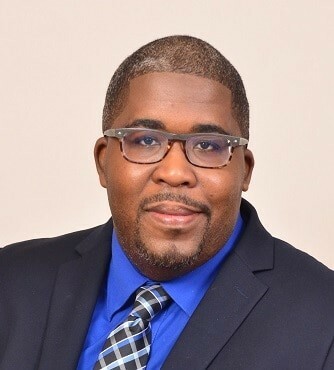 The new directors who were appointed to the board effective October 23, following increased ownership by Mayberry West Indies Limited to 8.56 percent, Bamboo Holdings of 1.2 percent and Mark Berry to 1.05 percent of the company are Ansel Howel, Christopher Berry, Gary Peart. Paul Hoo former chairman of the boards resigned as the company’s chairman on the 4th of November.